..अपनी जड़ों को सींचने के लिए..
..तलाशने आती हैं भाई की खुशियाँ..
..वे ढूँढने आती हैं अपना सलोना बचपन..
..आँगन में स्नेह का दीपक..
..बेटियाँ कुछ लेने नहीं आती हैं पीहर..
..ताबीज बांधने आती हैं दरवाजे पर..
..कि नज़र से बचा रहे घर..
..वे नहाने आती हैं ममता की निर्झरनी में..
..देने आती हैं अपने भीतर से थोड़ा-थोड़ा सबको..
..जब भी लौटती हैं ससुराल..
..बहुत सारा वहीं छोड़ जाती हैं..
..घर भर की नम आँखों में..
..जब भी आती हैं वे, लुटाने ही आती हैं अपना वैभव..
क्या बस यही "बेटियो" का "नसीब" होता हे?? "खुशनुमा " सी होती है "बेटिया". "नाज़ुक" सा "दिल" रखती है "मासूम" सी होती है "बेटिया". "नादान" सी होती है "बेटिया". "खुदा" की "Nemat" है "बेटिया". जब "दूसरे" घर जाती है "बेटियां". "घर" लगता है सूना सूना "कितना" रुला के "जाती" है "बेटियां"
"बाबुल" की "लाड़ली" होती है "बेटियां"
I had to prepare my son for his shloka competition, but it was so hard to find it.. 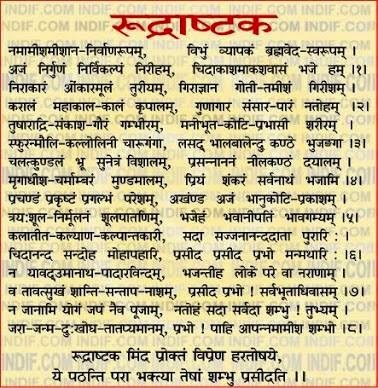 Finally, I managed to find the right sanskrit lyrics, hopefully, they are correct. The National Pension System (NPS) in India has been pushed for some time now. Government has been trying to increase the scope of the scheme, and hardly been successful at that. One of the primary reasons has been the low cost structure for the Pension fund managers. While a regular mutual fund charges around 1.5% for the fund management effort, NPS fund managers were charging somewhere between 0.0009% to 0.25%. At such low costs, it would have made little sense for anybody to be in business. However, some of the fund managers persisted and are in relatively better standing today. Some of them who did not continue (e.g. IDFC) continue to observe from a distance. Over the last few years, returns from the NPS fund managers have been surpassing the general market returns, mostly in all categories. Also, recently, govt regulations allowed hiking the fund management charges to 0.25% in addition to allowing partial withdrawals from the NPS corpus. Both of these measures have flamed the interest in NPS. By and large, people are now taking notice of the possibility of considering NPS as a possible investment vehicle. Slowly, but surely, many private sector companies are also adopting the NPS route for their employees. Beyond the long term investment option, NPS offers an instant benefit in terms of tax benefit above and beyond 80C. 10% of your Basic Salary + DA is the cap for Tax benefit under NPS. Therefore effectively, who falls in the 30% tax bracket, stands to shave of a substantial amount from his taxable income. Furthermore, the returns on this additional investment are not as measly as the EPF (approx 8-9%), but much more controlled (you can chose ur fund options) and market linked. All these measures are slowly resurrecting NPS as a possible investment vehicle. If you have not had something in life, there is not going to be another chance to get it.. something like second attempt at childhood/growing up... its probably better to get over it and move on in life. Or if possible, do something about it.